Do I have to be a member to ride my horse on pony club grounds? 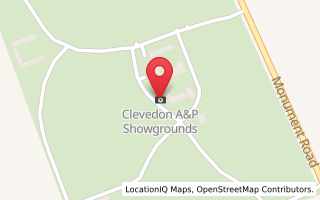 Clevedon Pony Club is located at the Clevedon A&P Showgrounds. Our grounds are managed by Auckland Council and we share use with a number of other groups including Auckland Manukau Dressage Group, Farmers' Market, the A&P committee and the Clevedon Natural Horsemanship group. Auckland Council maintain our grounds, and our facilities are among the best in the country. We share a 180m x 90m all-weather arena with Auckland Manukau Dressage. We also have show jumps and a fantastic cross-country course from pre-intro level to open. We have warm and welcoming clubrooms, and we run a canteen which sells food at rallies and events. Our shared use of the grounds means we are allocated specific times for use. See ground use times and code of conduct here. We do not offer grazing at our grounds. Clevedon Pony Club is one of the few remaining clubs to allow non-members to ride on the grounds. Casual riders must be accompanied on the grounds by a current member of Clevedon Pony Club, and must complete our checklist prior to riding. Clevedon Pony Club is part of the Manukau District Pony Club, which also includes Beachlands/Maraetai Pony Club and Totara Park Riding Club. Manukau District Pony Club belongs to the Auckland Area Pony Club which is made up of Manukau District, Pointways District, Waiheke District, Auckland District and Papatoetoe District. You can download information about Manukau and Auckland Area District Pony Clubs here. At Clevedon Pony Club we have an exciting and varied programme of events and rallies planned for 2017/2018 season. Our rallies are held for all members on Saturday mornings at 9.30am and for senior riders twice a month on week-day evenings. All rally dates and events are documented on our calendar. Read more about rallies and coaching here. Members are kept updated via email and on the Clevedon Pony Club Facebook page. As well as attending weekly rallies, our members can represent the club at many district, regional and national pony club competitions. We also run in-house competitions (these are called closed events) thoughout the season. Our Events page lists the season's external and internal competitions. We are a friendly, social club run by members. The success of our club relies on the efforts of all members and their families assisting with rallies, events and club management. It's more fun than it sounds! Click here for more info about what we expect in terms of parent help. We have a culture of fair play, friendship and openness. Our aim is to build an enjoyable club that supports everybody's needs. We abide by NZPCA's Code of Conduct. The Clevedon Pony Club was first established in 1967 at a property on North Road opposite Woodzone. The club then moved to the Polo grounds and the rallies were held there until around 1975. During these years floats were a rarity, so our members all rode to Pony club and home again. In 1975 the club moved to a small shed at the A&P showgrounds. Our arena and clubrooms were removed mid season in 2008 and our new clubrooms on the new A&P showgrounds opened in March 2010. Our new showjumping enclosure was built in 2013, sponsored by ASB.